On any of the iPod Nano's, starting at the 4th generation, they have a setting for CROSSFADE. This will blend the end of one song with the beginning of the next song. This takes care of what most people need. 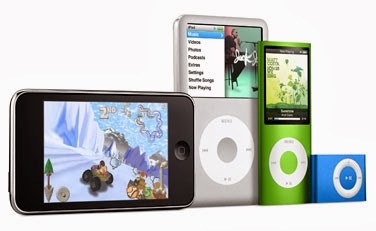 Unfortunately, the Cadillac of the iPods, the iPod Touch doesn't have this feature. That's really like buying a Cadillac paying $50,000 and only getting an AM/FM radio. Yeah, it plays music, but why no bells or whistles? For the iPod touch you need to add a different music player app instead of the standard one. I had the best success with Media Mix Pro, but I'm sure there are other's that work just as well. There is a Lite version that let's you test drive the app. I don't remember what the limitations of the Lite version but costs nothing to try it. The cool thing about the Media Mix (and the default player) is that you can use it in conjunction with the Metronome app for cadence setting. The metronome "beat" will play at the same time over top of the music. Okay so I haven't used Media Mix in a couple of years since I've migrated to the Class Builder App. I know that the folks at Cycling Fusion have cross fade on the development list, but until then what's an instructor to do? "Cut out the Dead Space"
This was the feature that the other instructor needed to know was available. 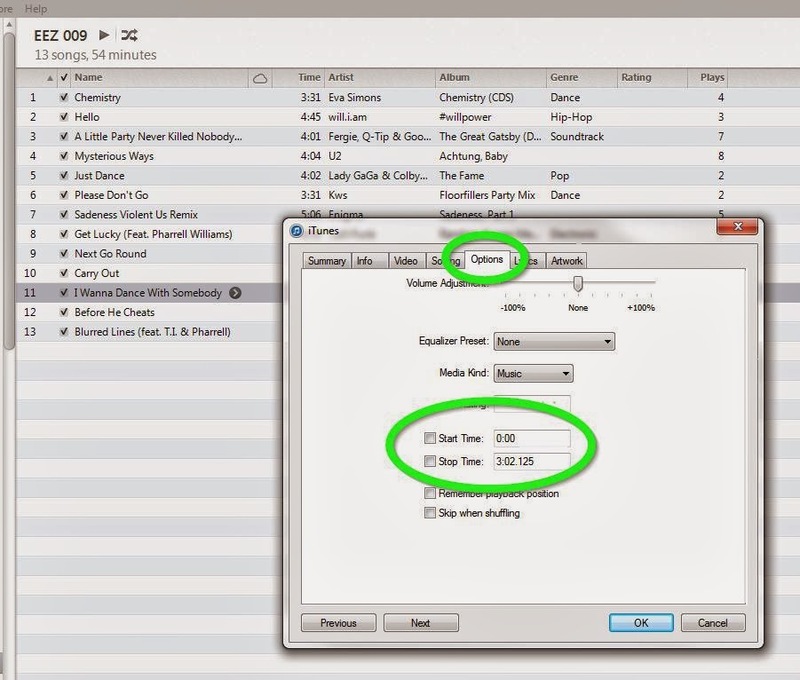 In iTunes you can set the start and stop times of any song. Essentially, Trimming off the dead space that is often left at the end of songs. While it does have the smooth flow of cross fade, it does eliminate those uncomfortable quiet spots in the class. Right click on any song in your library, then goto the OPTIONS tab. There you will find the options for setting an alternate START or Stop time. You simply have to enter in a new time and then your iPod will use that from now on. Note - This does not delete the dead space at the end of the song, it doesn't change the file at all, it simply tells your iPod to start and stop at alternate times. So you can always revert back to the normal playback. Now there is one more options but it's too complicated to explain here, but some die hard music fanatics will mix their music. There's multiple software programs out there that can do this for you. But essentially what you're doing is taking all the songs from a playlist mashing them together into a single file. This takes a lot of time which is why it's not for the faint of heart, but the results can be stellar. If you're inclined to try this, start with Audacity; it's free and simplistic in design. Not all the bells and whistles, but then again you're not buying a Cadillac. On a side note, I recently asked Master Instructor Rodrigo Vilches what software he used, since he's teaching an iPad session at WSSC and I'm not sure if I'm going to be able to attend. Let me just say, that man goes way above and beyond for his classes and I have to imagine his classes rock.